High efficient fine crusher is a newly developed fine crushing equipment for special metal materials, which is developed by our company. 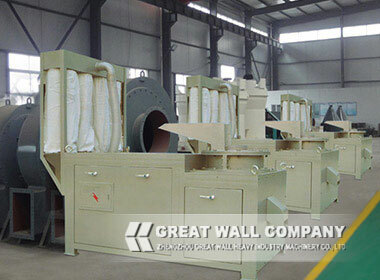 Fine crusher for metal adopts the most advanced crushing technology of both domestic and abroad with the features of unique structure, high efficiency and energy saving. And this small fine stone crusher owns two national patent technology. This high efficient fine crushing machine is mainly used in the industries of metallurgy and casting to crush barium or iron alloy, such as silicon iron,ferroalloy, silicon-calcium, silicon barium,high magnesium and silicon calcium barium. Great Wall fine metal crusher manufacturer provide TWP Efficient Fine Crusher,which is a high efficient fine metal crusher, also called silicon iron fine crusher, ferrosilicon alloy crusher,iron alloy crusher,ferroalloy fine crusher,silicon calcium fine crusher,silicon alloy crusher, ferroalloy crusher,silicon barium fine metal crusher and silicon calcium barium fine metal crusher,high magnesium crusher,high magnesium fine metal crusher with reasonable metal crusher price. 1. The fine metal crusher is reasonable design and easy maintenance. 2. With low energy consumption and high efficiency,high magnesium crusher is widely used for high magnesium processing. 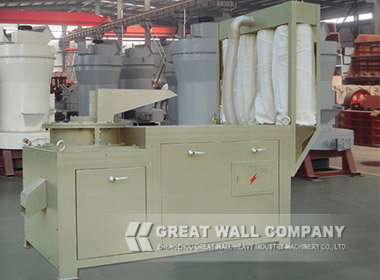 3.Metal fine crusher is even output granularity and same particle shape. 4. With compact structure and less occupied area,the metal crusher is mainly used for metal processing. 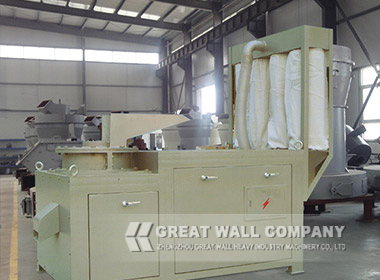 5.With dust collecting device and less dust pollution,the metal crusher is environmental friendly. 6.With easy installation and operation of the metal crusher,there is no need to do foundation fixation .